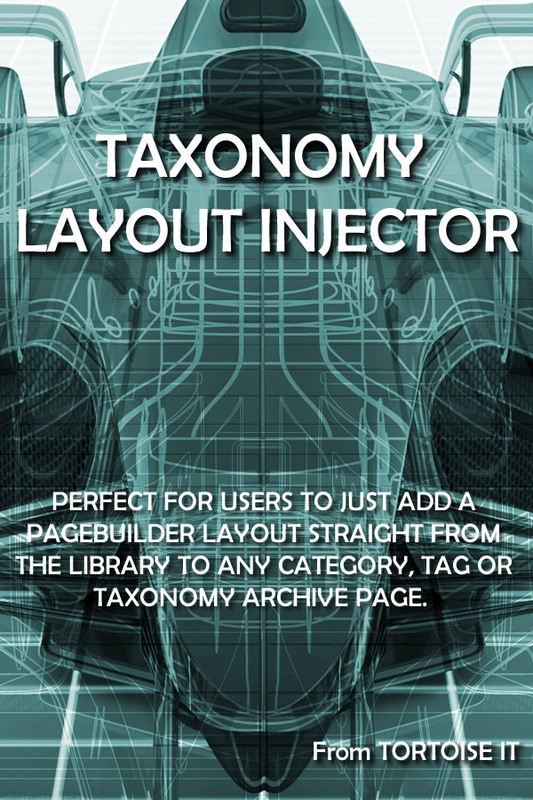 Taxonomy Layout Injector allows you to edit the layout of the Category, Tag and any other registered taxonomy including those registered by nearly any other plugin, In addition it will change the layout of the Author pages. 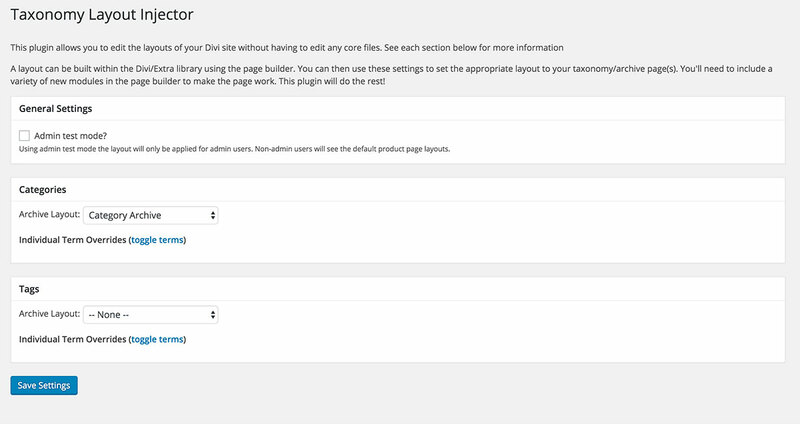 Divi/Extra, by default, do not allow any configuration at all on taxonomy archive/author pages. 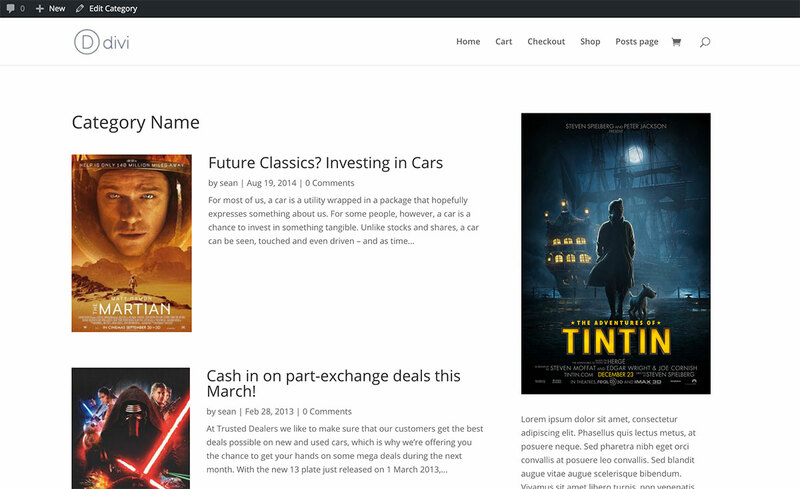 You are given a list of items and a fixed sidebar with no styling or layout capability. You can use a child theme but then you have to code and even then it can take a long time to achieve the desired result. This plugin allows you to create a layout using the Divi library in any column/row format and using any modules you see fit. 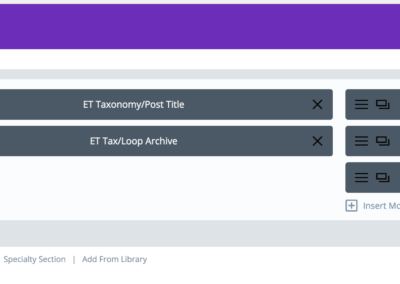 Add a couple of new modules created for this plugin and use their settings to make your taxonomy archive pages and author pages really stand out. 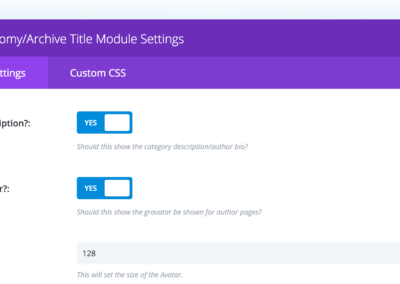 In short this plugin adds a number of custom modules to the Divi Builder and a settings page to link the two together. You have the freedom of the Divi Page Builder which we all know and love to construct a layout to suit your needs. Visit the settings page for the plugin and simply choose the new layout from the dropdown boxes. If you want to override the default Injector layout on a per taxonomy term/item/author basis then you will find several options to do so on the settings page. Taxonomy Loop Archive. 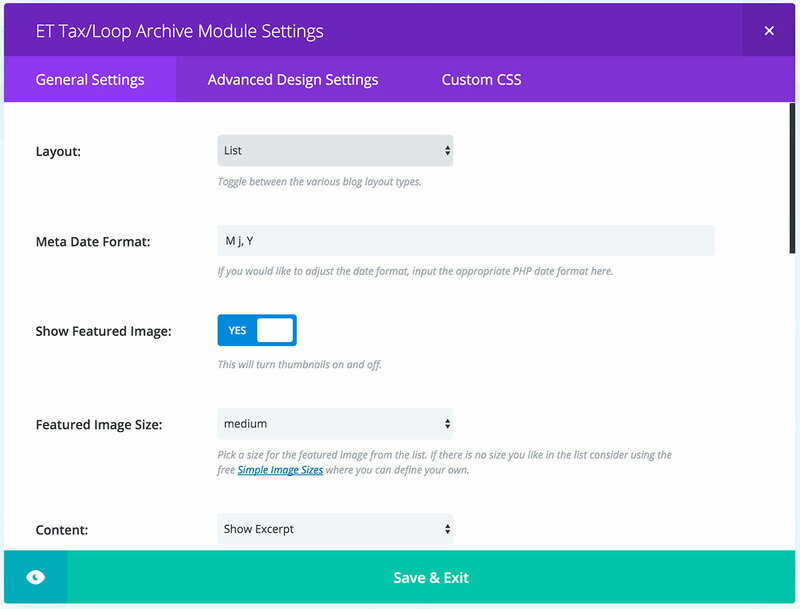 This is by far the most powerful module you’ll see for archive layouts. 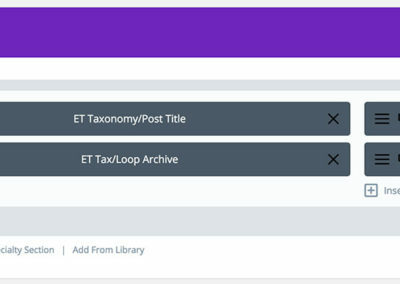 Simply create a layout for the archive page and another layout for the archive items and it does the rest. Using this module you can display your content in truly any format.. list/grid, include other plugins, images, custom fields etc..
Each time you want to make a change to the layout just visit the Divi Library page and edit your layout as before. No need to relink or anything else. This really is a set and forget plugin. 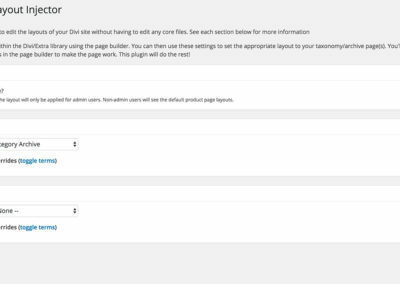 Adding the new modules to a normal page builder page are unlikely to work. 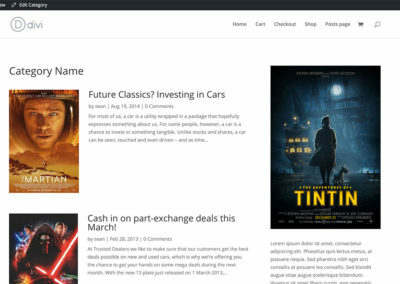 The modules are designed for use on an archive page only via the Divi library. Please contact us if you are unsure about this or have a problem setting things up.